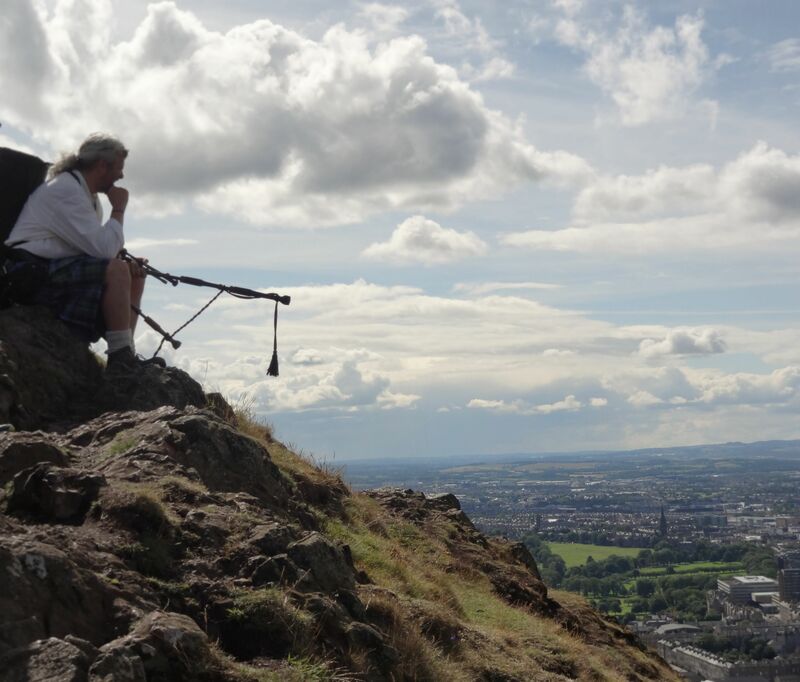 The Search for Scottish Wool….continues! I can not believe that we are in such a beautiful place! Thank you to my husband for bringing me here! 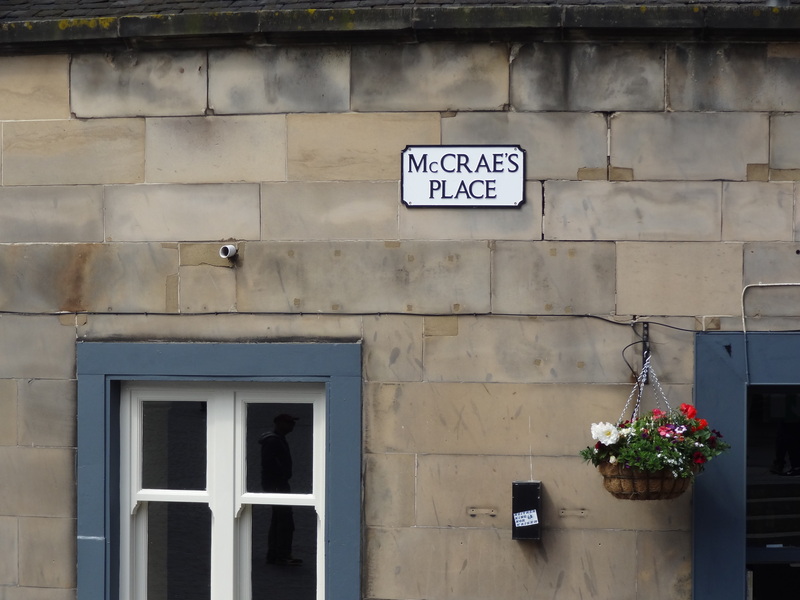 Today we met with Clan MacRae and learned about our ancestors and the MacRae’s in Edinburgh…. We met a lot of wonderful new friends! 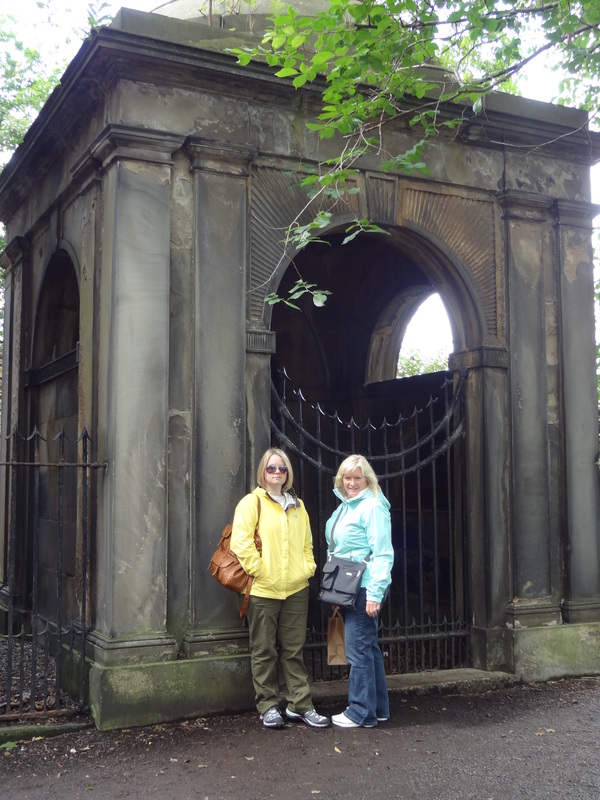 My mom and I walking through the graveyards…. 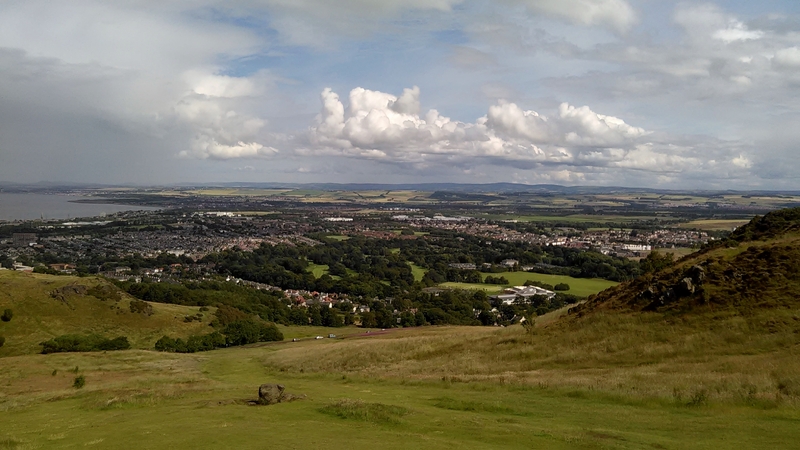 Hiking up Arthurs Seat – Whew! that was straight up!!! 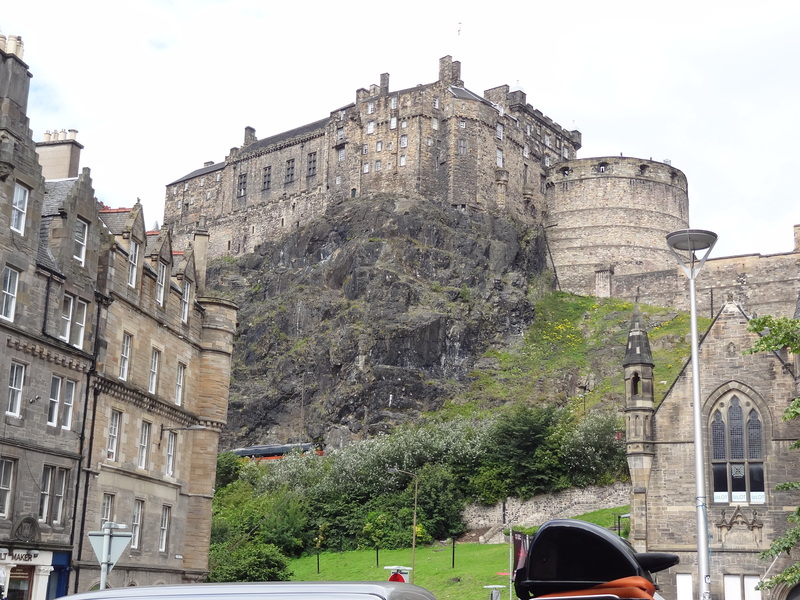 Edinburgh Castle…no wool here! LOL! 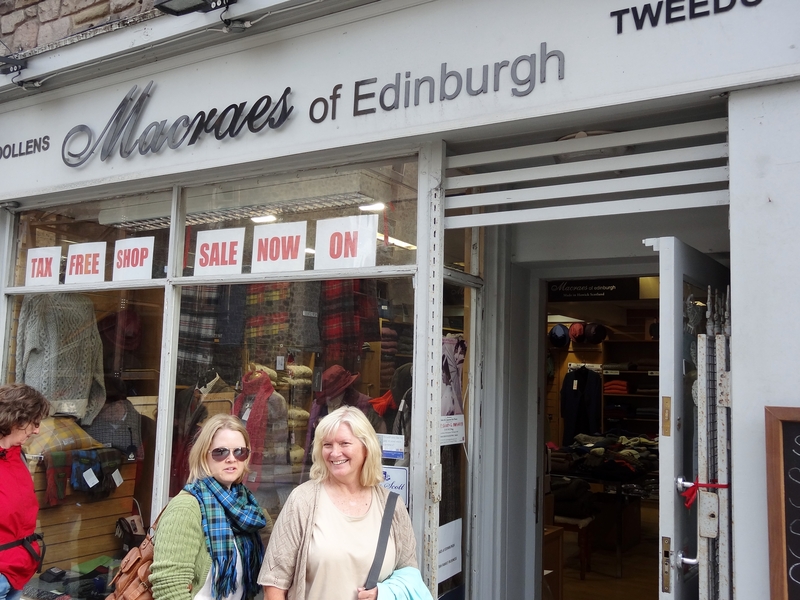 Macraes of Edinburgh store! 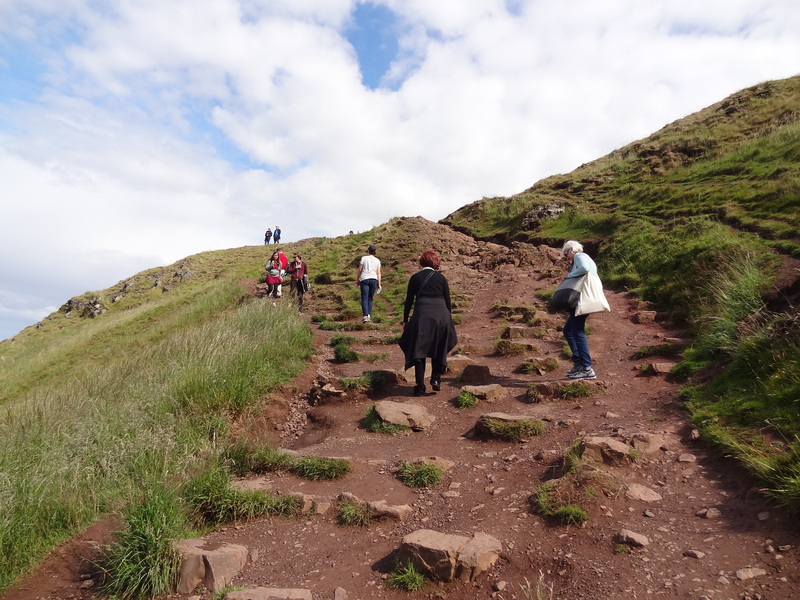 I did find some hand knits – but no skeins of wool…. 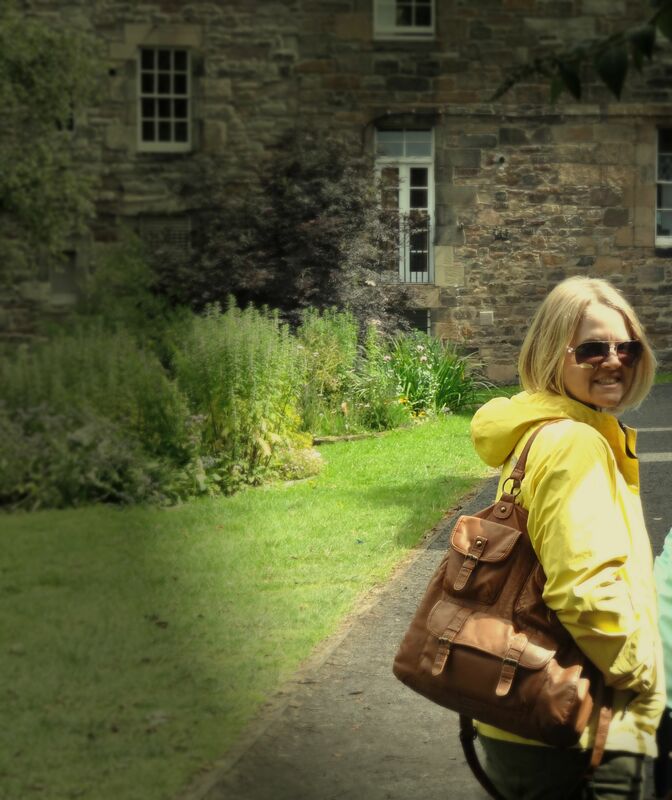 We did some more walking around Edinburgh…we got a lot of souvenirs and the hunt for wool continued…I did not have any success finding it or anything knitted related…bummer…but we head to the highlands tomorrow and maybe, just maybe…I’ll find a few sheep and shear them myself! LOL!! < Previous Is there Wool in Scotland?